I was watching CNN tonight and one of the newscasters commented that the Apple iPhone 4S is a dud. Is it? From a marketing standpoint it is. Instead of ohhs and ahhs... it was met with disappointment. If the late great Steve Jobs had been able to take the stage one last time, he probably could have turn that around. But Magic was tragically ill, and now he will be sorely missed. Is the hardware a dud? Well it really depends on how long it remains a viable Flagship platform for Apple. If it holds the fort for Apple for a year, or almost a year, than it is a success. If it is replace sooner, than it is a dud. Let me explain why. 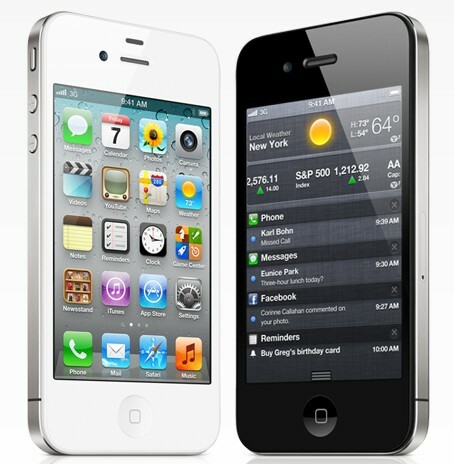 In June 2010, Apple announced its Apple iPhone 4 which was a badly needed replacement to the iPhone 3GS. Google had released the Nexus One, HTC its own version called the Desire, Sony Ericsson its Xperia X10 and the Samsung Galaxy S just hitting the market. The iPhone 3GS did not compare well with the new Android offerings. When the iPhone 4 was released, it came with a new 640 x 960 display, a 1GHz ARM Cortex-A8 processor, PowerVR SGX535 graphics and a 5MP camera. These were cutting edge specifications allowed it compete the current Android offerings for the better part of ten months. It was not until late February 2011 that a new dual core Android came out, the LG Optimus 2X which had a piece of technology which significantly outpaced the iPhone, and that phone is actually inferior to the iPhone 4 in several respects. It was not until April 2011 that more competent dual core Androids like the HTC Sensation, Motorola Atrix and Samsung Galaxy S II started to hit the market. Basically, it took April 2011 until Android phones with clearly superior hardware to the iPhone 4 started rolling out. That is ten months. An iPhone is really only design to be competitive as a flagship phone for about a year. Job well done. But the iPhone 4S has a different problem. It is a phone released in October 2011, using technology that was available cutting edge in March 2011 and lacking things like 4G connectivity. Androids first generation dual core phones released in February to April 2011 are now being updated with newer faster models with updated features. The result is that iPhone 4S catches up with the HTC Sensation, Motorola Atrix and Samsung Galaxy S II, when these models have ceased or about to cease to be flagship phones for these manufacturers. While the iPhone 4 has ten months before having to compete with a new generation of Androids, if the iPhone 4S had been released on time in June 2011 it would have only had 4-5 months before the new Android showed up. With the iPhone 4's delayed release, it now has as little as one week. So is the iPhone 4S a dud? We will find out in the next few weeks. It certainly is a better iPhone, and will be the best iPhone for some time, but whether it will fall in the category of the best smartphones in the world is something we will soon find out. This year, it looks like Apple will have to let Siri and iCloud do the talking rather than its hardware.